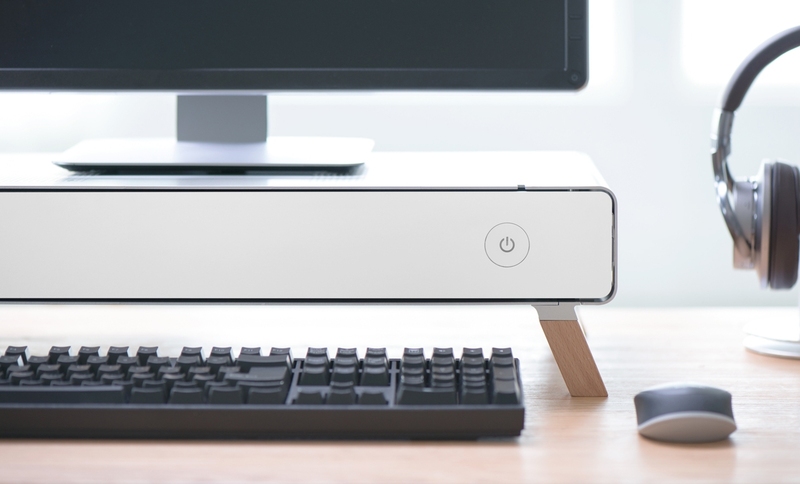 PC cooling specialist Cryorig turned to Kickstarter earlier this year to fund production of Taku, a retro-inspired Mini-ITX PC chassis that doubles as a monitor stand. Solid effort aside, the campaign came up well short of its $100,000 funding goal with just $48,051 raised from 138 backers. It looked like the end of the road for the case but this story will have a happy ending after all. In what can only be viewed as good news for interested parties, Cryorig has elected to move forward with production despite the setback. The company said the response from the PC community and media outlets was enough to encourage them to continue with the project alongside co-developer and manufacturing partner Lian Li. The chassis, if you recall, is meant to house a high-end Mini-ITX machine in a space-saving design. It utilizes a slide-out hardware tray with support for two 2.5-inch drives, a single 3.5-inch hard drive and a graphics card measuring up to 280mm in length. CPU coolers up to 48mm tall are also compatible. Cryorig, which has been working on the case for over two years, will launch Taku in the US, Japan and Taiwan in December at an MSRP of $299. Kickstarter backers will have the option to pre-order the case with delivery guaranteed by the end of the year. Backers will also receive a complementary Cryorig C7 cooler. Cryorig will bring the case to additional markets in the first half of 2018, we’re told.